A pair of gloves for musician Imogen Heap. 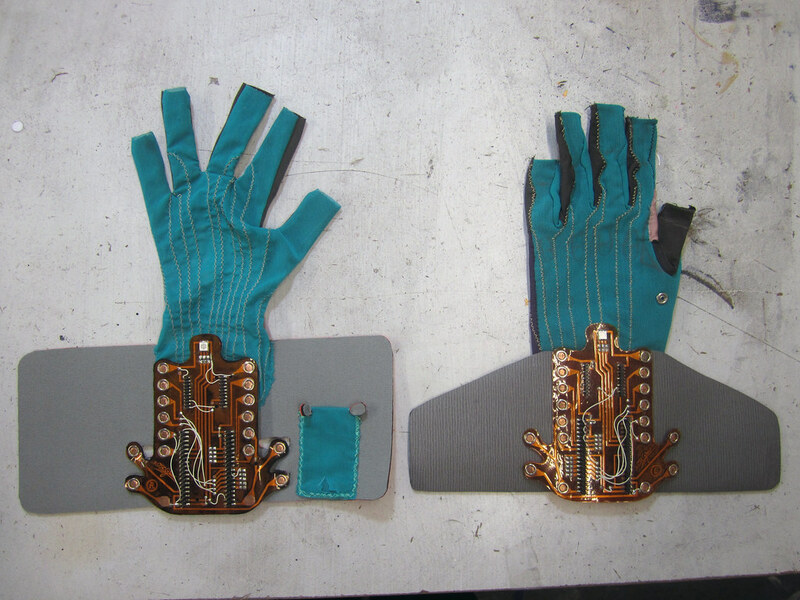 This first pair of customized gloves uses custom made version of the x-IMU. 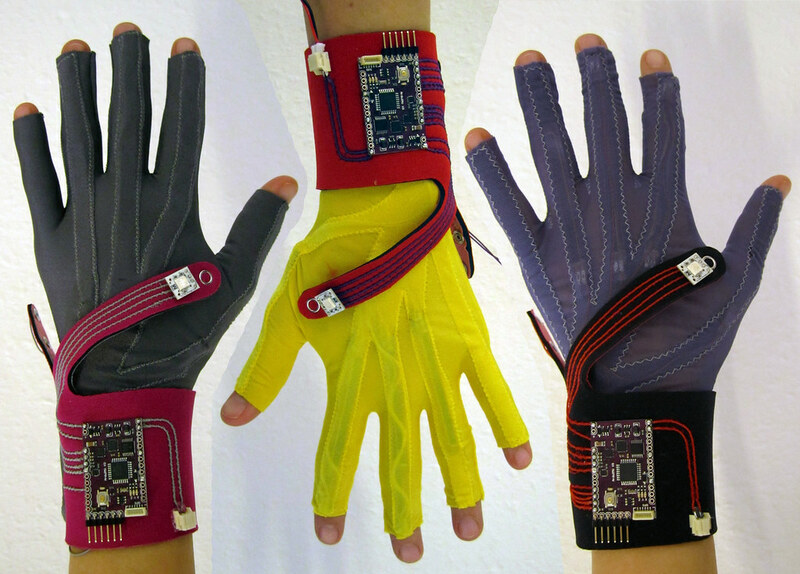 Each glove has one x-IMU, 8 bend sensors, an RGB LED and vibration motor. 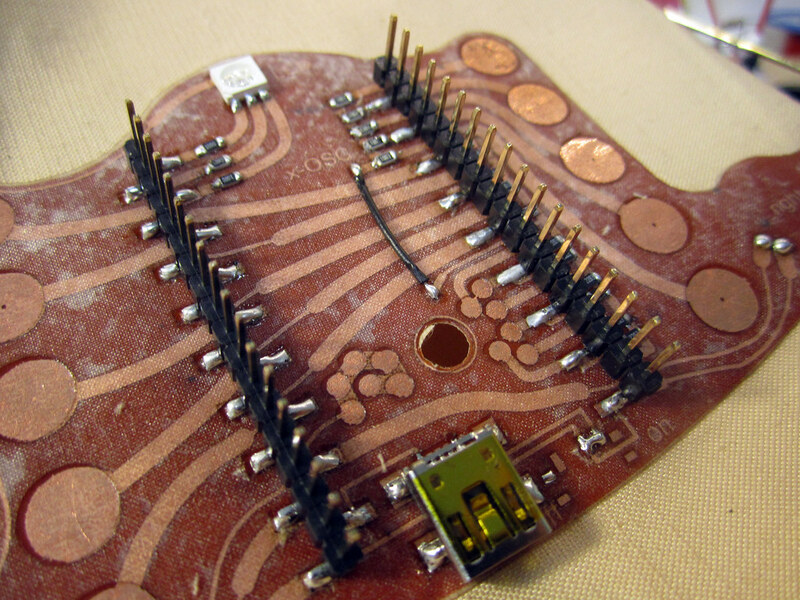 An Open Hardware pair of datagloves that capture movement and gestures of the hand using the ArduIMU and bend sensors. 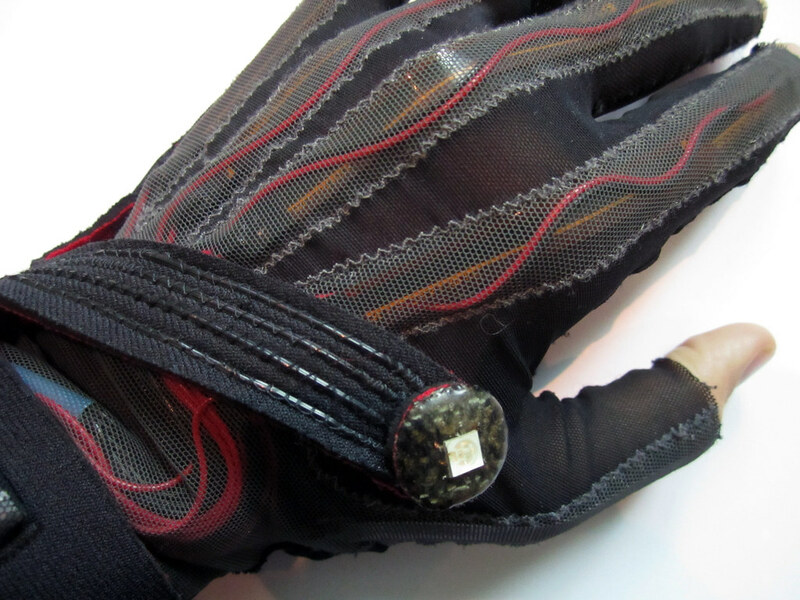 The gloves can be connected with an FTDI cable or wirelessly using a Bluetooth module. The gloves also include an RGB LED light and a vibration motor for visual and haptic feedback. These gloves are made from off-the-shelf parts and documented in these step-by-step instructions. 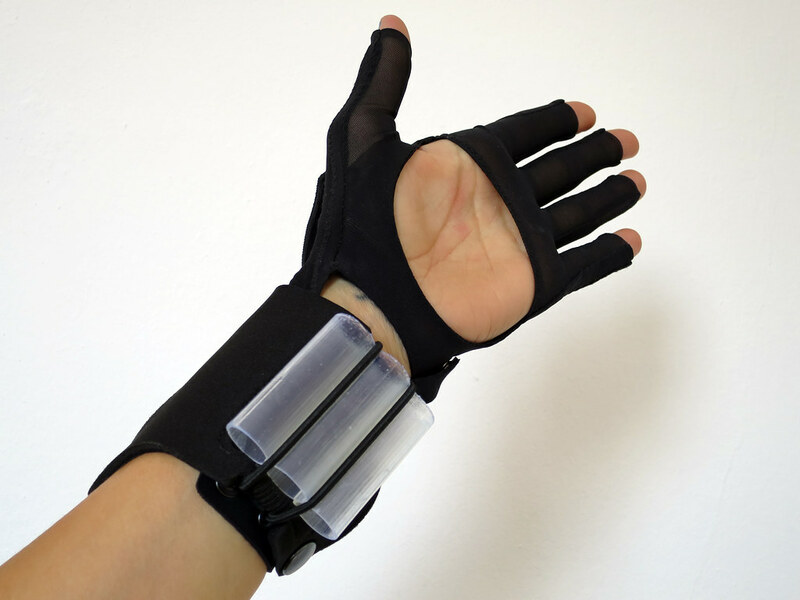 This is a version of The Gloves that uses conductive and piezoresistive fabrics to capture movement and gestures of the hand in an attempt to build a fully fabric data glove. Three pairs of this version of the glove were produced in preparation for Imogen’s NIME performance. 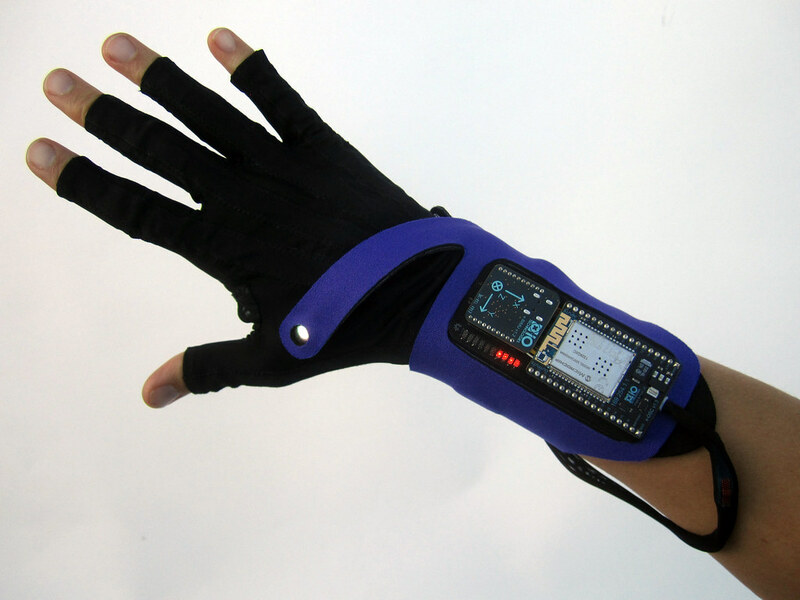 This version of the MiMu data gloves for composing and performing electronic music are in production for a small group of collaborators who continued to support us after our Kickstarter campaign.